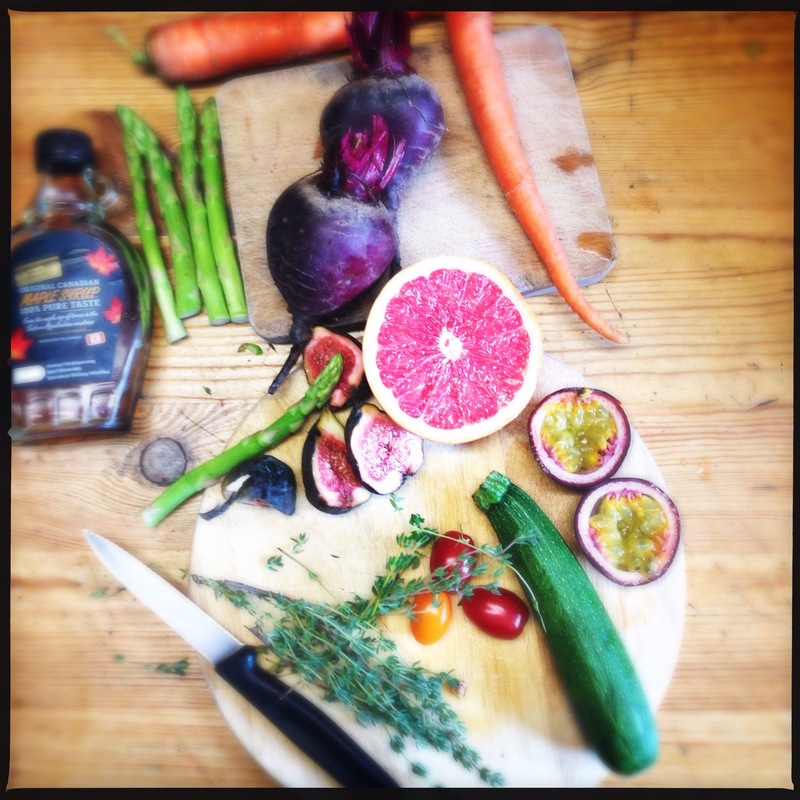 Bursting with colour and flavour, this is the ideal summer salad to impress your friends with! 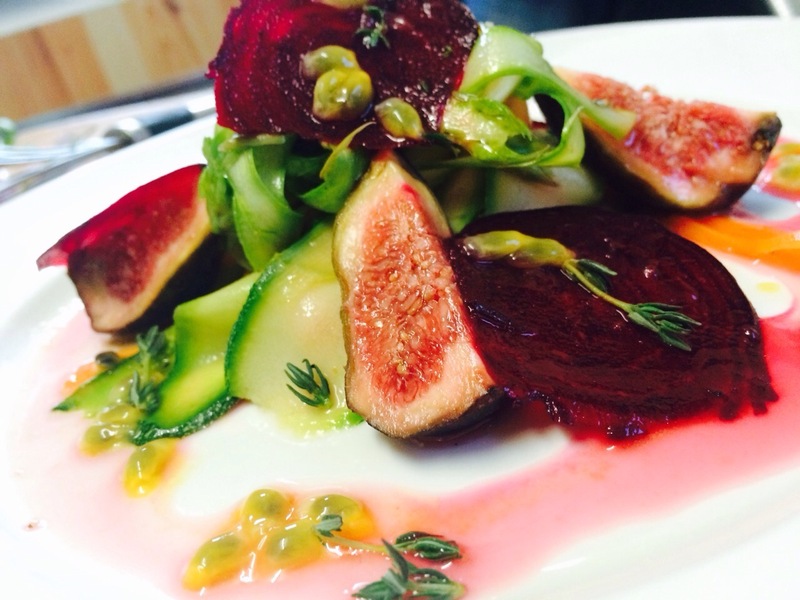 Fresh and tasty, this raw summer salad is also a cinch to make. Enjoy, Eoin! Using a veggie peeler or mandolin slicer, make your veggie ribbons as per the ingredients. Leave aside and start on the dressing. Using a whisk, mix the maple syrup and the grapefruit juice, slowly add the oil and one of the passion fruit seeds/flesh. Then add the thyme and salt to taste. Mix all the veggie ribbons, minus the beetroot, with some of the dressing. 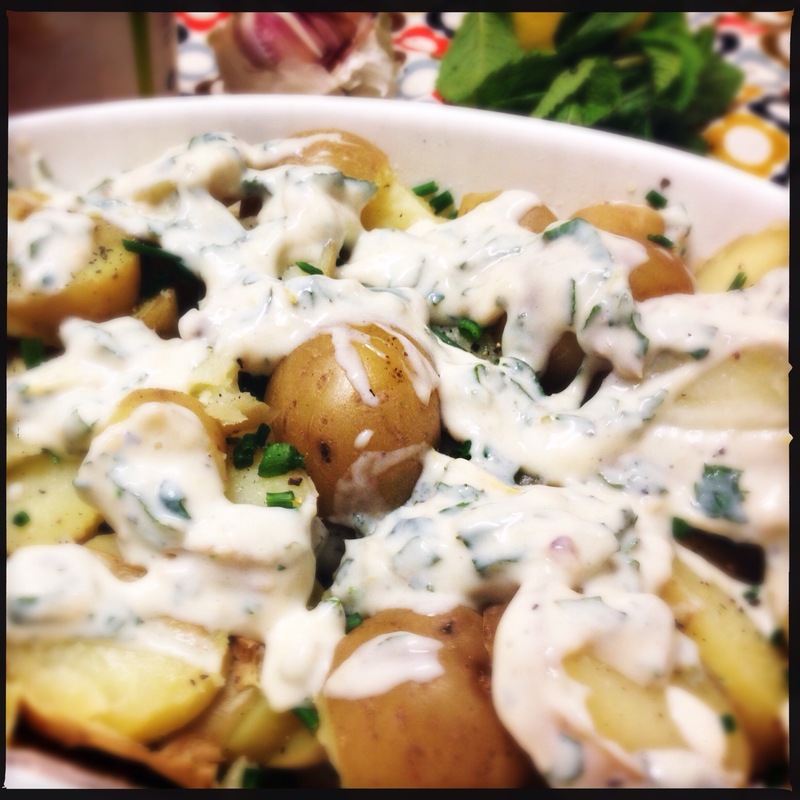 Vegan warm summer potato salad with a lemon and roasted garlic dressing. 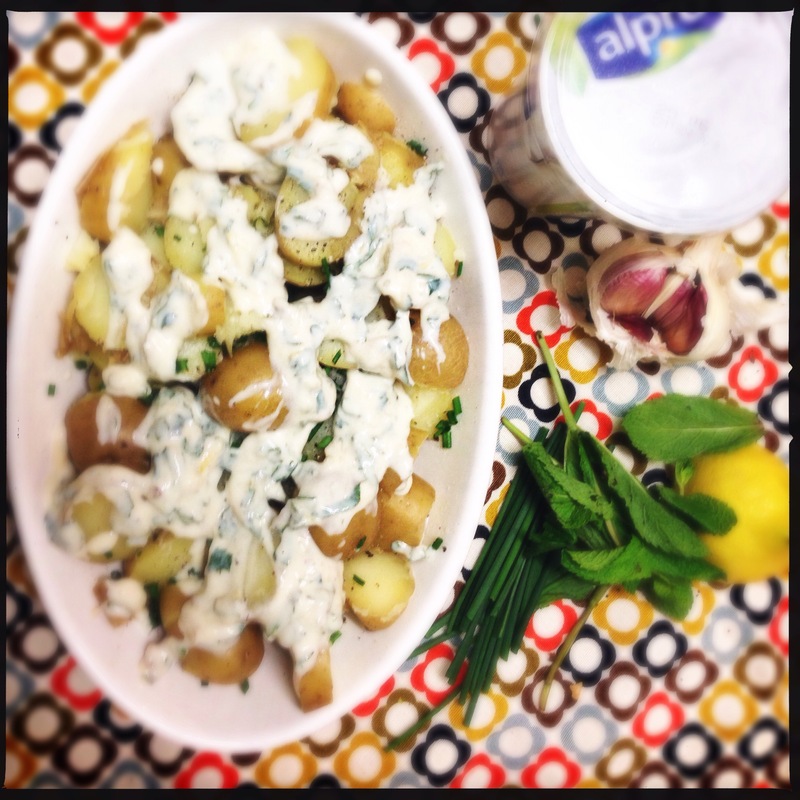 I just adore having a lush potato salad at a summer BBQ, but it can be hard to find one that is Vegan and egg free! Thankfully this is a delicious vegan version you can make and bring to your next BBQ and it’s one everyone will love. 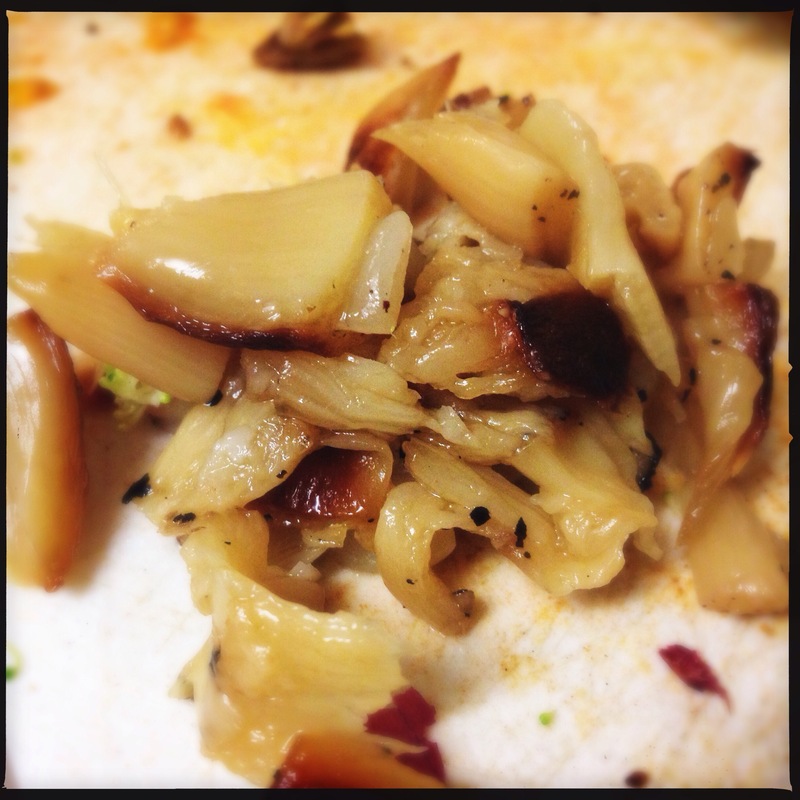 Cut the bulb of garlic in half, brush with some olive oil, sprinkle on a pinch of salt and wrap in tinfoil. Bake in the oven for 20 minutes. 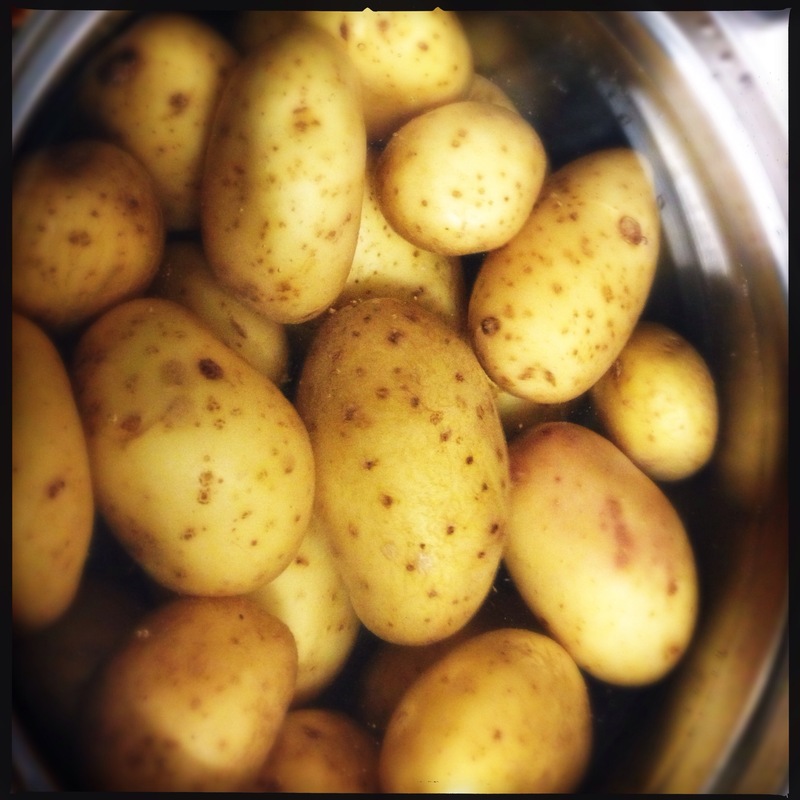 Cook the potatoes in boiling water until soft (15-20 minutes), then drain and allow them to cool slightly. Next, start on the dressing. Add all ingredients into a blender, except the herbs, and blend until smooth. Add half of the chopped herbs and set aside. 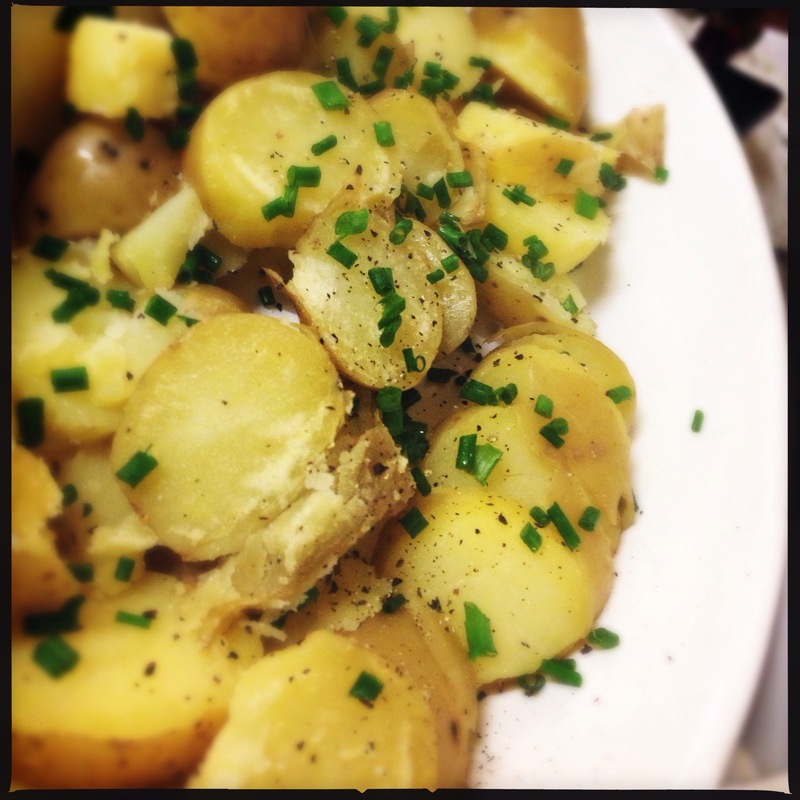 Arrange the potatoes on a dish or platter while they are still slightly warm. Layer them up with the rest of the herbs (see pic), until you’ve used them all up. 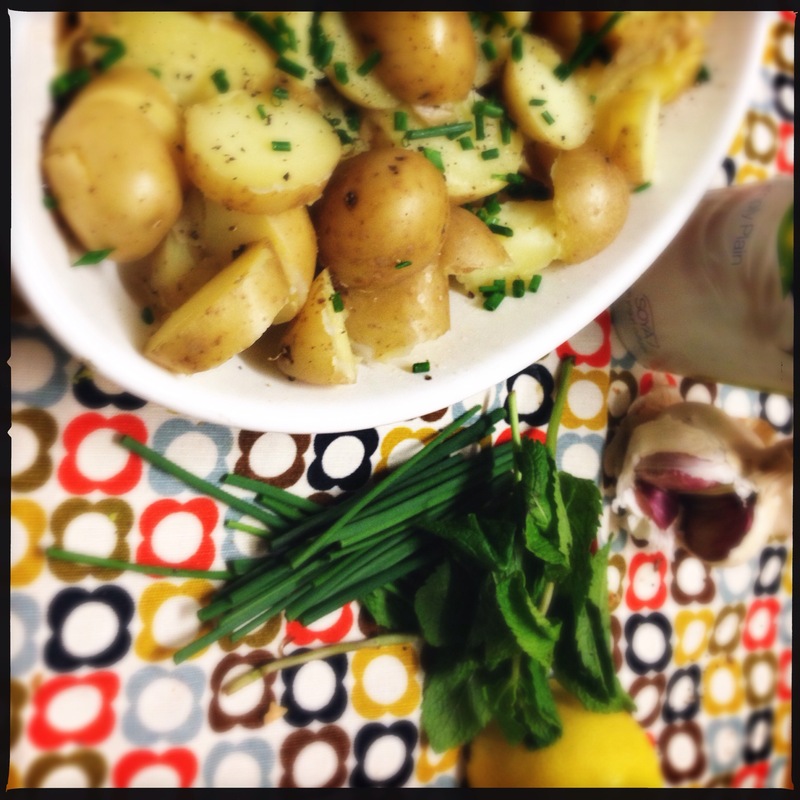 Then pour the dressing over the potatoes and add a few fresh chopped herbs and serve. 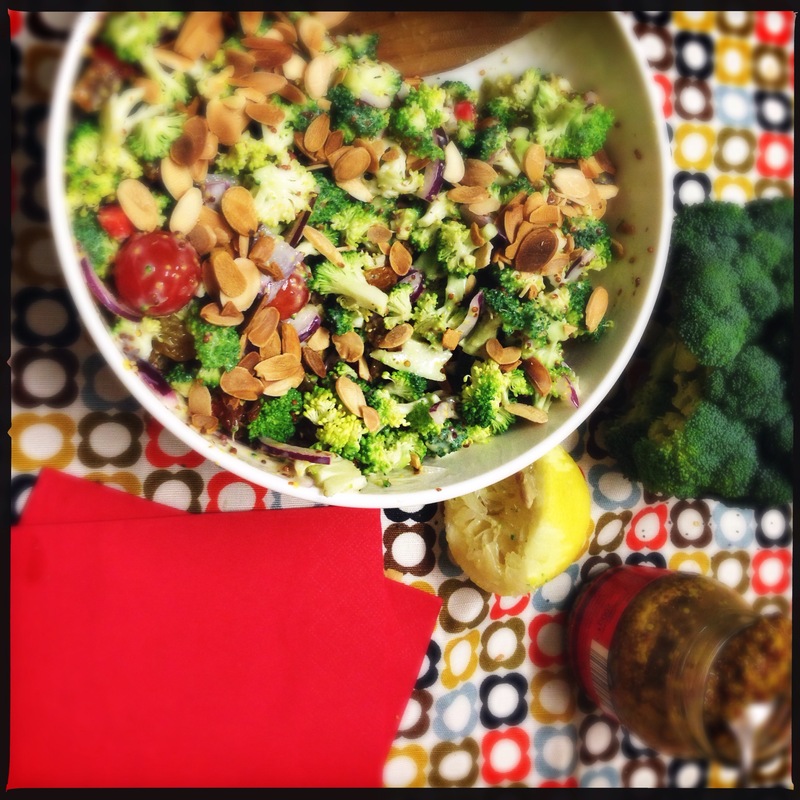 Vegan Broccoli Salad with Wholegrain Mustard, Golden Raisins & Cherry Tomatoes Topped With Toasted Flaked Almonds. 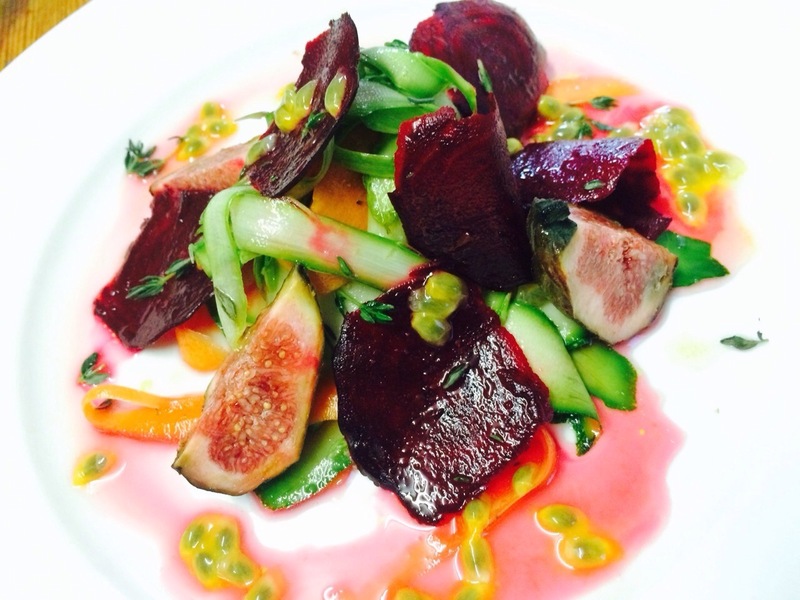 This scrumptious, fresh summer salad is a fantastic dish to bring to a BBQ. It’s a real crowd pleaser that goes down well every time. 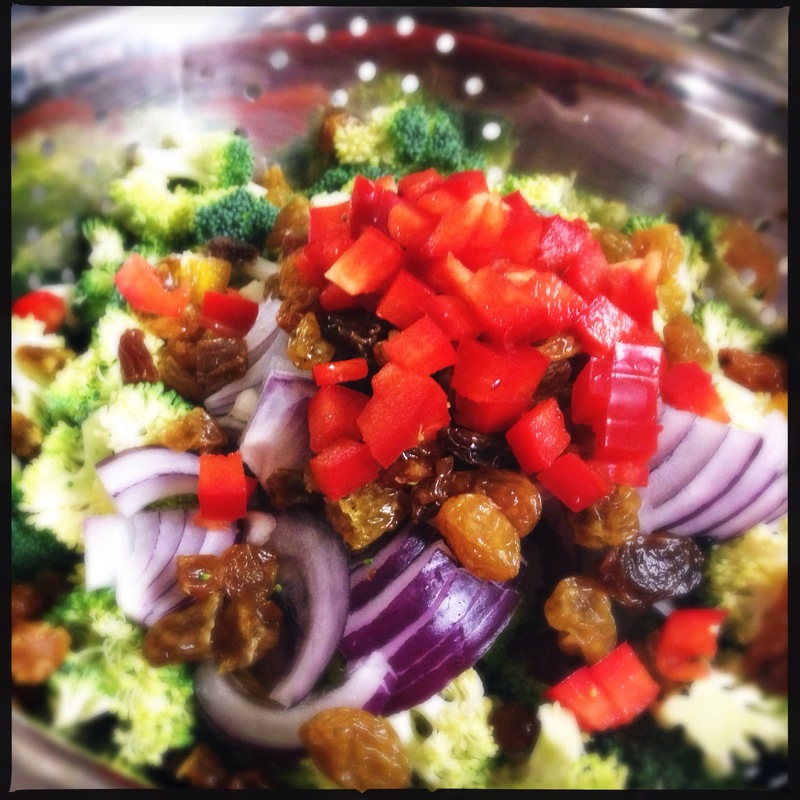 In a large bowl add the broccoli, peppers, onion and raisins. 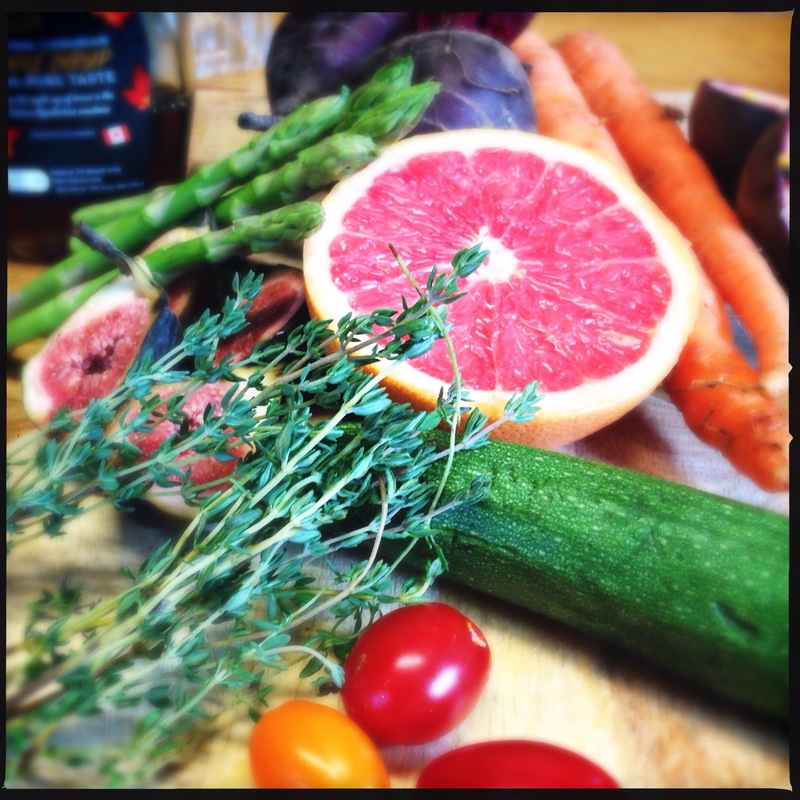 Next, start on the dressing. Add all the dressing ingredients into a bowl and whisk together. Season with some salt and pepper. 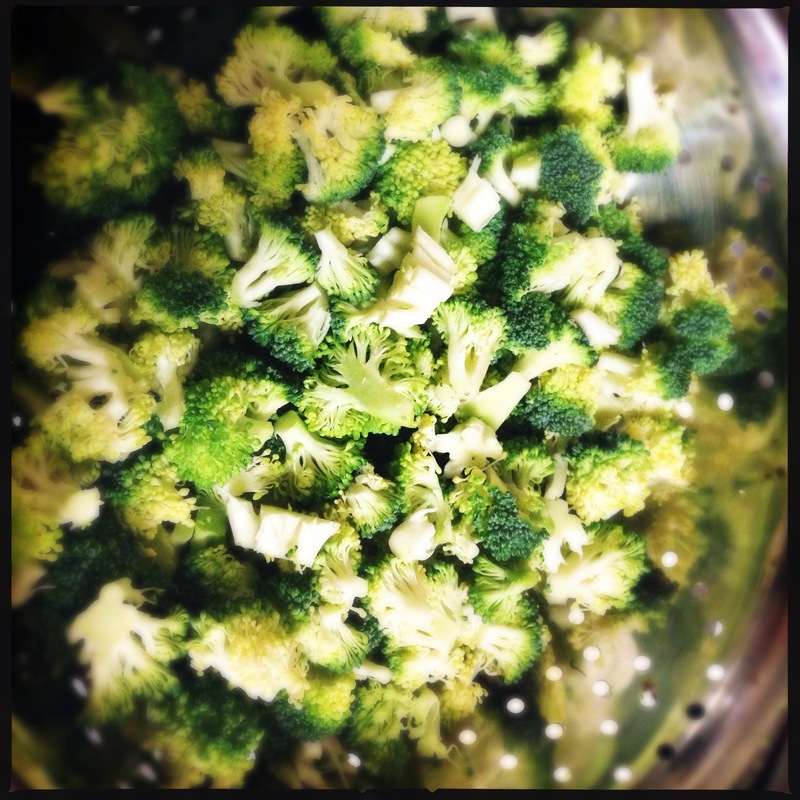 Pour the dressing onto the broccoli mixture and stir until thoroughly mixed. 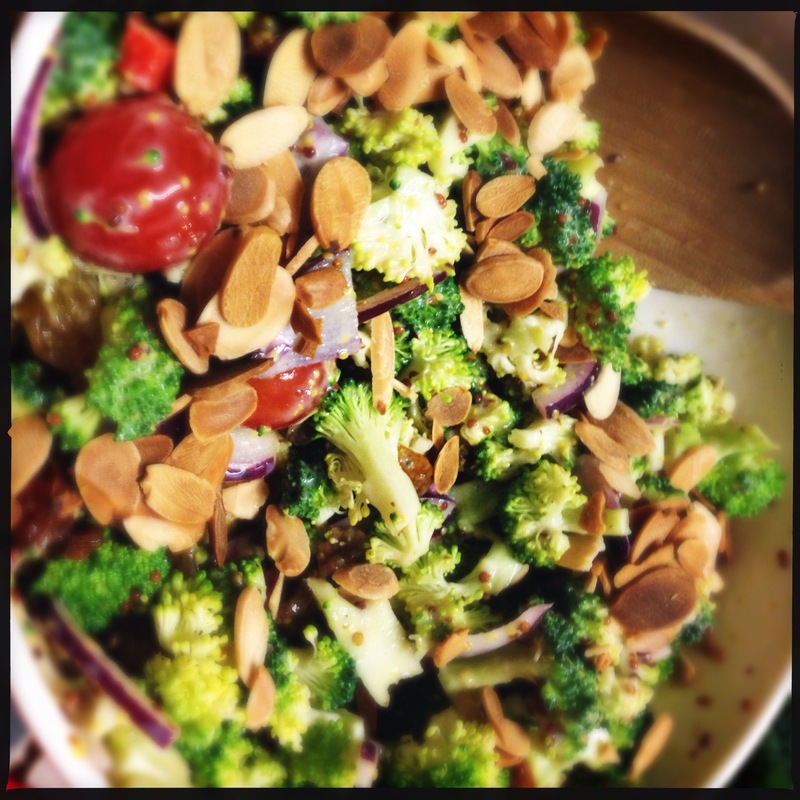 Sprinkle on the cherry tomatoes, give it a final stir and top with the toasted flaked almonds. It should keep for 2-3 days in the fridge. My sister recently bought a nifty vegetable noodle maker, also known as a “spiralizer!” It’s an amazing tool to have in the kitchen… any excuse to eat more veggies! For the dressing place all the ingredients in a blender and whizz until smooth. If you find it too thick, add some orange or grapefruit juice to loosen it up. For the salad, peel the mandarins and break into segments, then halve the grapes. Remove the middle stalk from the kale, then tear up your 3 stalks to around the size of baby spinach leaves. 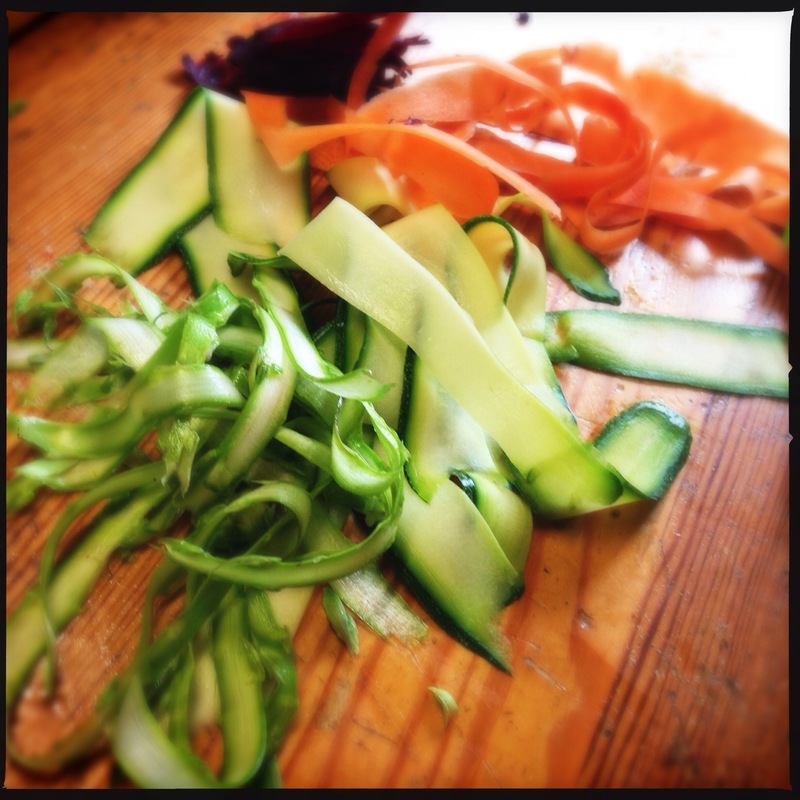 Top and tail the courgette and whack it in the “spiralizer”, likewise with the carrot. Keep any trimmings for soup or to be juiced later. Place all of the vegetable noodles together with the other salad ingredients into a large bowl. Serve cold and with a good glug of the dressing. This salad is best consumed the same day, but it will keep for 24 hours once no dressing has been added.